A study recently published in the BMJ has reported that as many as 1 in 20 Americans is the victim of diagnostic errors in outpatient facilities. 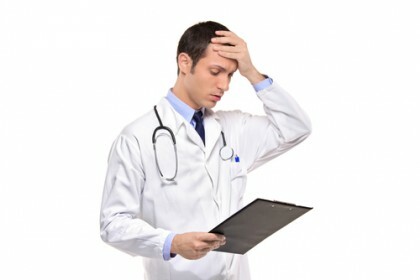 About 1 in every 20 American patients is the victim of some type of diagnostic error. Roughly 5 percent of patients who visit outpatient facilities is misdiagnosed. Researchers pointed out in this study that these misdiagnoses specifically pertained to cases in which there was sufficient evidence present at the time to make a proper diagnoses (based on, for example, an individual’s symptoms and available diagnostic test results). The fact that patients often move between various specialists and doctors in outpatient settings (making it less likely that any single physician has the whole picture when it comes to patients’ ongoing health). In some cases, misdiagnoses have relatively minor effects on patients’ overall health. However, as researchers in this study found, about half of all cases of diagnostic errors had serious impacts on patients. In fact, in the worst cases, diagnostic errors led to some patients’ conditions progressing to life-threatening stages (such as in the case of misdiagnosed cancer). Encouraging patients to seek second opinions when there are issues with a clear or definitive diagnosis. Since 1977, the Portland malpractice attorneys at the Savage Law Firm have been devoted to providing each of our clients with personal attention, respect and the highest quality legal services. We realize how devastating diagnostic errors and other medical mistakes can be, and our lawyers are here to aggressively defend injured people’s rights to both justice and compensation. While this means that our Portland malpracticelawyers will work diligently to help our clients tell their stories in court, it also means that our attorneys and dedicated staff will vigorously stand up to insurers and others outside of the courtroom to ensure that our clients are able to obtain the settlements they deserve. Helping you recover from the financial setbacks caused by medical mistakes is one of our primary goals. Our Portland malpracticeattorneys encourage you to learn more about your rights and case by setting up a free initial consult. We represent clients in communities in both Oregon and Washington from our offices in Portland and Seattle.